I love using bamboo decors at home. It does not only give my home a tropical feeling but it also gives my home a simple yet catchy appearance. Our bathroom door has a bamboo design and we just recently installed bamboo walls to divide our vacant lot. Half of the space was reserved for gatherings and the other half was reserved as a working area. It gives that dull space a natural appeal. 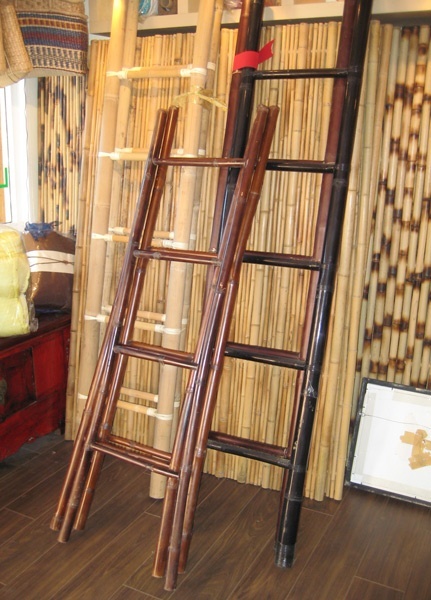 I love the fact that bamboo is a versatile item for home decors and a way cheaper too. To increase it's life span, we can protect it by applying a coat of varnish on a regular basis. There are so many ways to use bamboos as home decors and you will never fall short of ideas to use it as a focal point of your interior design whether in your living room, dining room, bedroom or garden. Try to add up some white pebbles and you will have that instant tropical look! Bamboos are very common in my town. The first house built by my parents is all-bamboo. I'd like to have mine, a bahay-kubo near our main house, in the future.